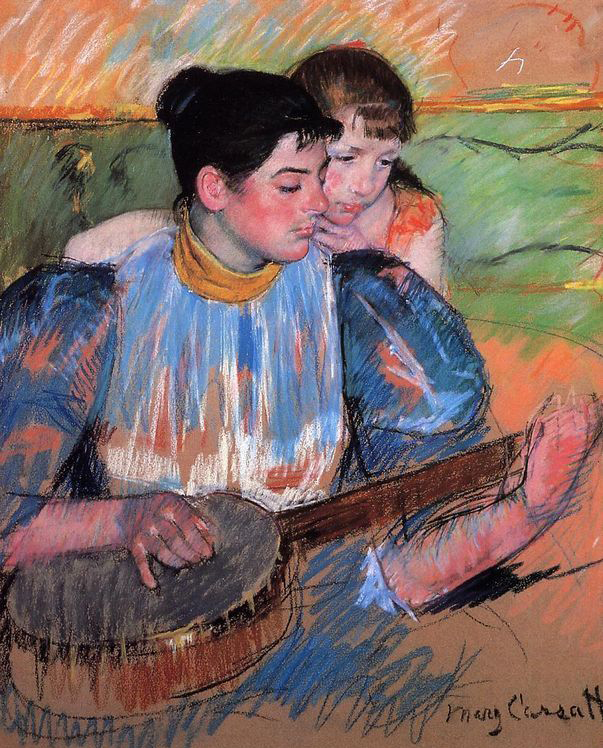 American Artist Mary Cassatt was one of the original Impressionists, rare for an American and for a woman. 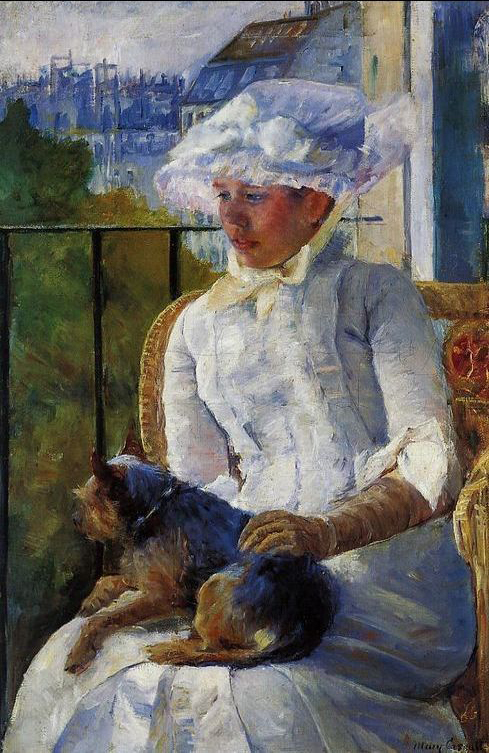 Cassatt was the only American to exhibit her work in an exhibit of the original group of Impressionist Artists, including Degas, Renoir and Monet. 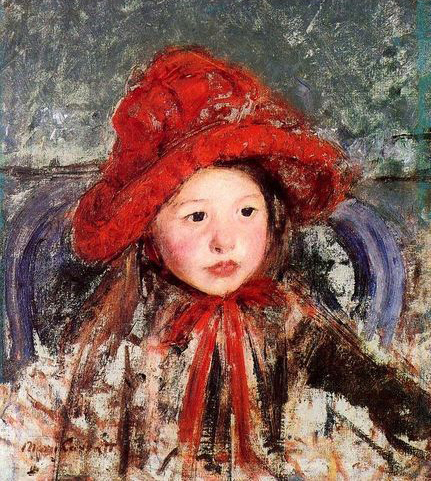 Cassatt said that she "hated conventional art" and when invited by Edgar Degas to exhibit with this group of independent artists in an exhibit of non-academic art she was overjoyed. 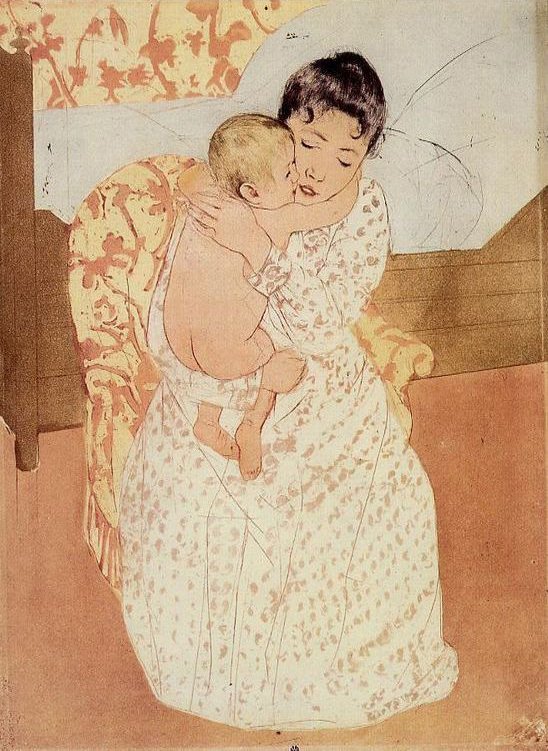 Mary Cassatt was born in 1844 in Allegheny City, Pennsylvania, a town that is now part of Pittsburgh. Her father was a wealthy investment banker. 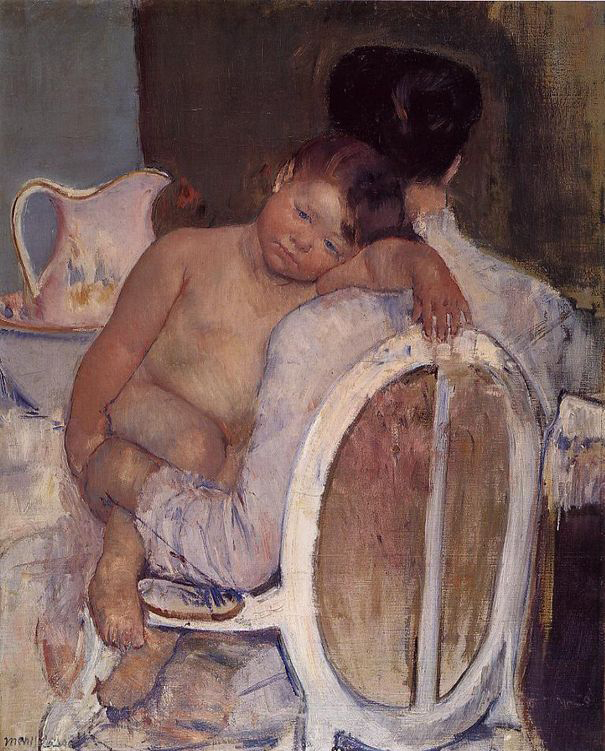 Cassatt grew up in Pennsylvania, but lived in Germany and France for four years during her childhood. She entered the Pennsylvania Academy of the Fine Arts in 1861. In 1865 she studied Old Masters paintings in Paris. 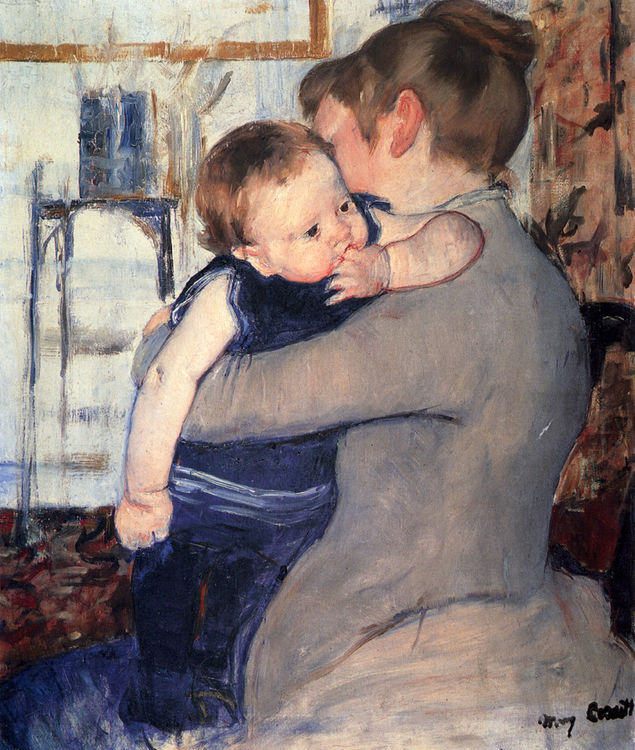 Cassatt returned to the United States when the Franco-Prussian War erupted in 1870, but she went back the next year, despite her father's objections. 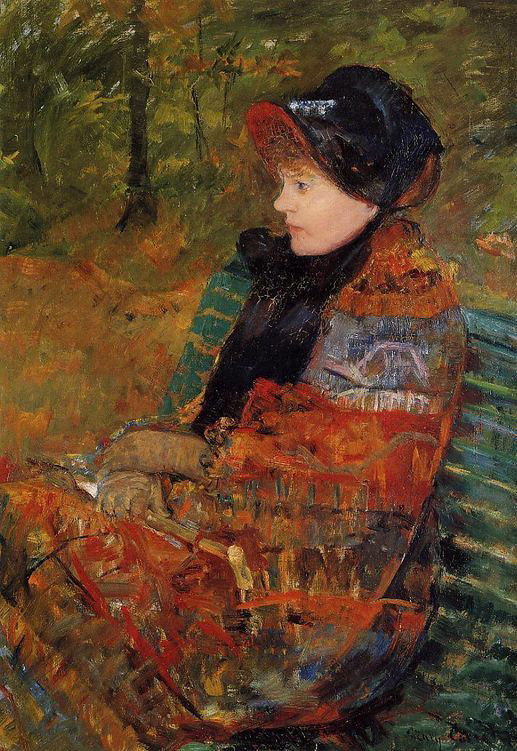 She travelled and studied in Italy, Spain, Belgium, and France before settling permanently in Paris in 1875. She lived there for the rest of her life, despite the apparent fact that her affection for the French people was not great, and lessened with the passage of time. In the late 1800s Paris was enormously progressive under the direction of the Emperor Napoleon III. While the city itself was undergoing dramatic modernization that made it the model for the modern world, the city's arts were bursting with enthusiasm. 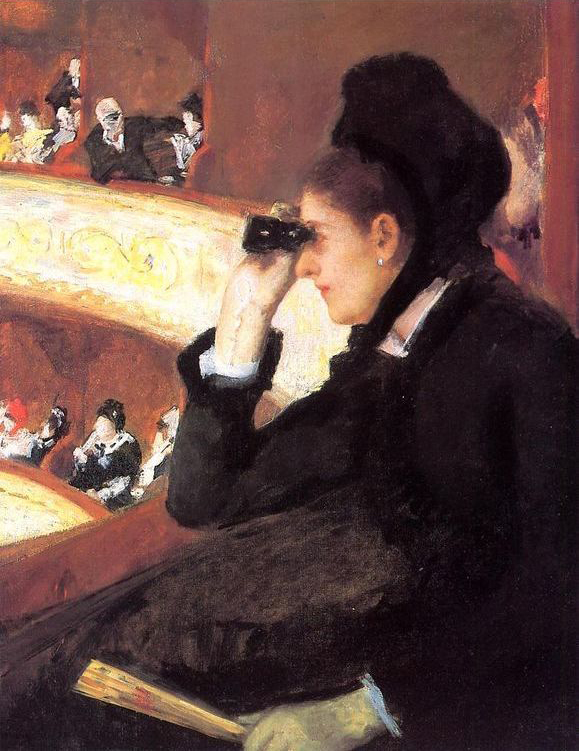 It was into this atmosphere that Cassatt settled. 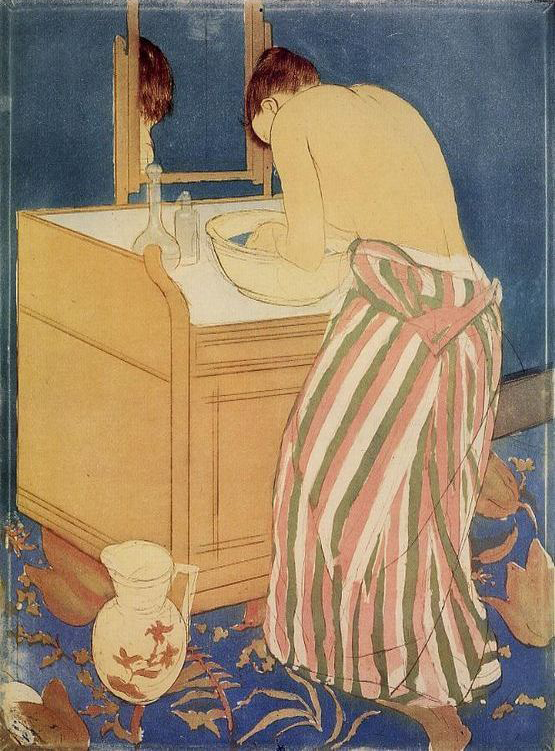 In her early years in Paris, she exhibited at the Salon, France's annual juried exhibit which featured the best of conventional paintings of historical, religious and mythological subjects. But she grew restless with this kind of work and became enamoured of the work of the independent artists, later known as the Impressionists. Society at that time was embracing the scientific pronouncements of Darwinism and the industrial revolution was in full swing. The arts reflected the social unrest during this period of dramatic change. 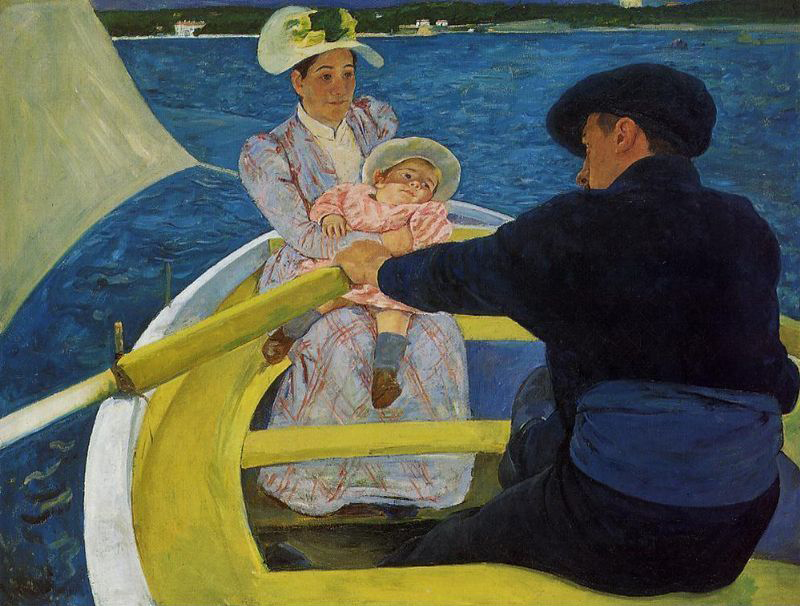 The Impressionists rejected the ethereal mythological subject matter of academic art, and painted life as they saw it, connecting the viewer to the biological world, and producing a very human sensibility in their work. 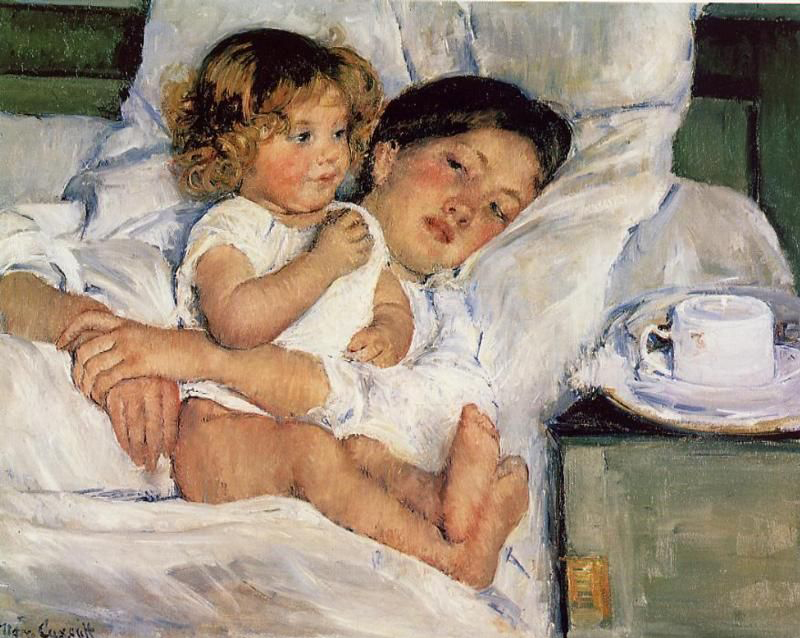 Cassatt's most famous paintings are of mothers with children, bathing, reading or doing other ordinary things. 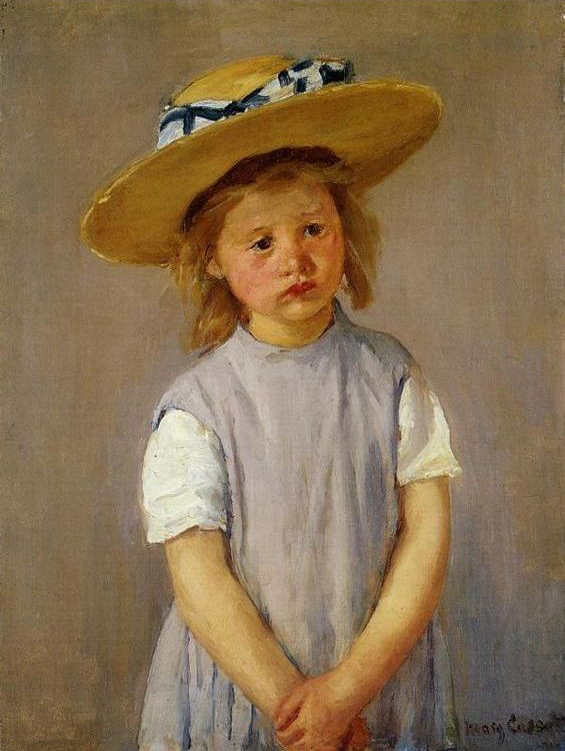 Despite the routine nature of the paintings, her style revealed emotional depth and intensity. She learned from Degas a sense of the immediate, allowing informal poses, gestures and fleeting moments to permeate her work. 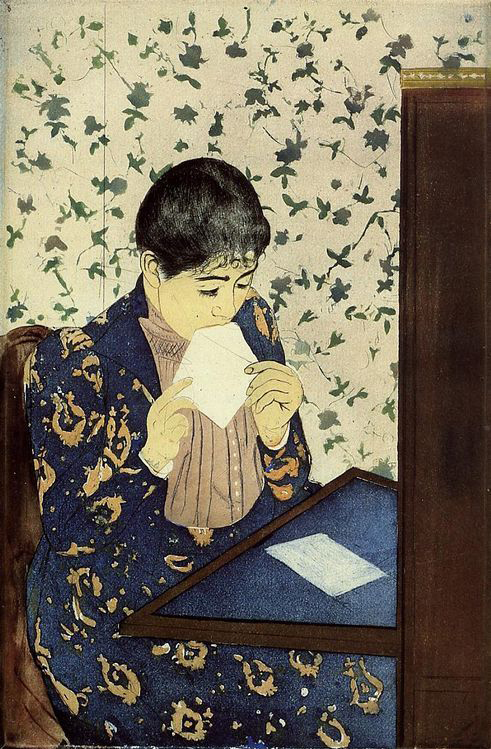 Edgar Degas became a close friend of Cassatt's, mentored her and invited her to exhibit with the Impressionists in 1877, 1879, 1880, 1881, and 1886. 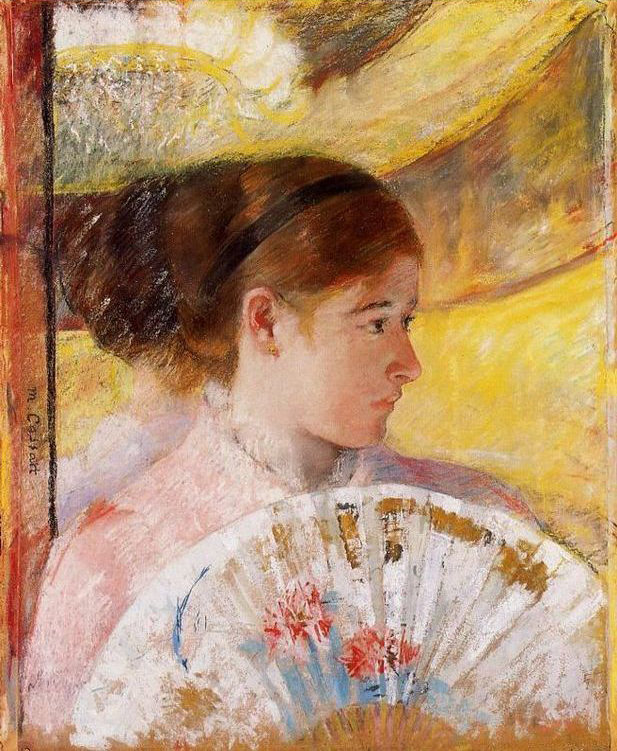 She refused to exhibit there in 1882 when Degas did not exhibit. She was commissioned to do a mural for the Chicago World's Fair in 1892. 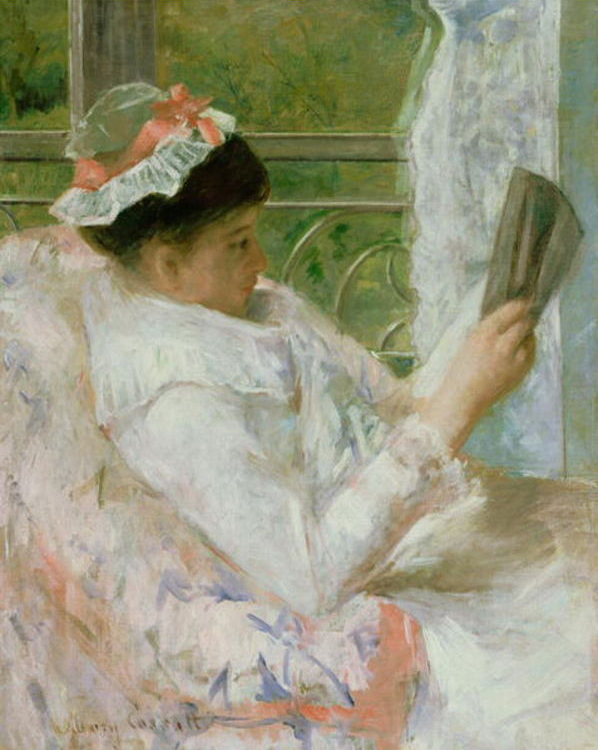 After the 1886 exhibit Cassatt developed a business relationship with an art dealer named Paul Durand-Ruel who sponsored her first solo exhibit in the Durand-Ruel gallery in New York in 1893. In 1903 another showing of her work was exhibited there. She visited the United States in 1904, and for the last time in 1908. 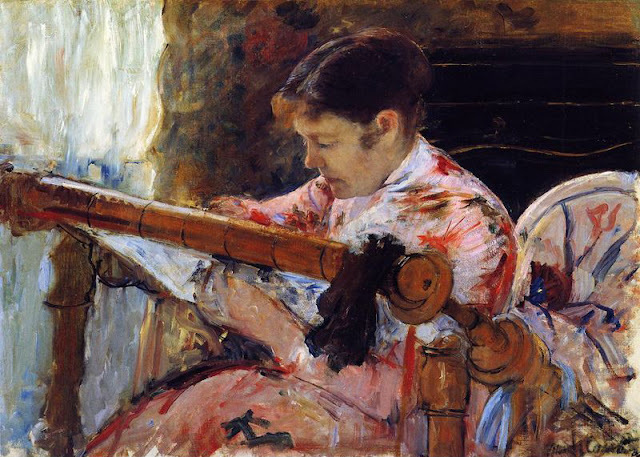 Cassatt was influential in her support of the Impressionist movement, not just through her art, but financially, and through promotions of Impressionism. 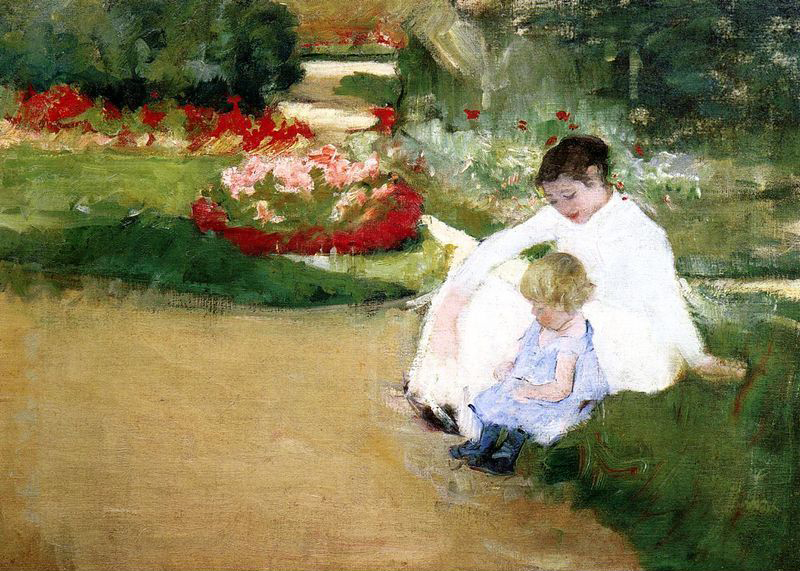 She arranged for Impressionist works to be sent to the United States through her brother Alexander. She encouraged him and others to purchase works by Monet, Manet, Morissot, Renoir and Pissaro. 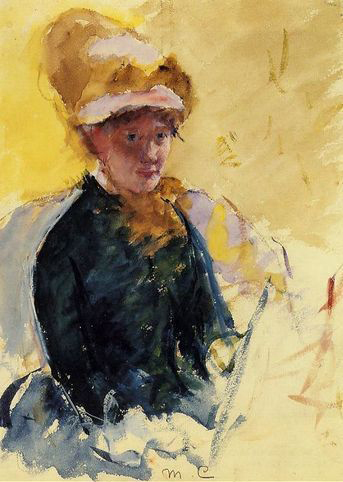 Alexander Cassatt ultimately became the first important art collector of Impressionist works in the United States. 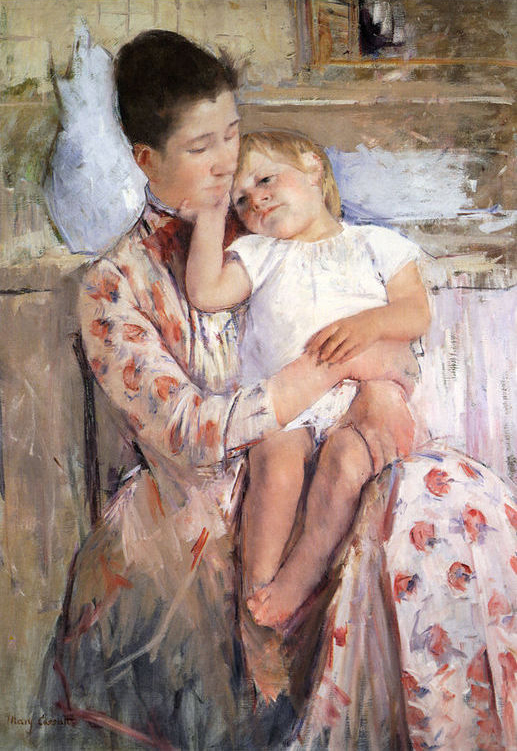 Mary Cassatt died at Beaufresne, France in 1926. 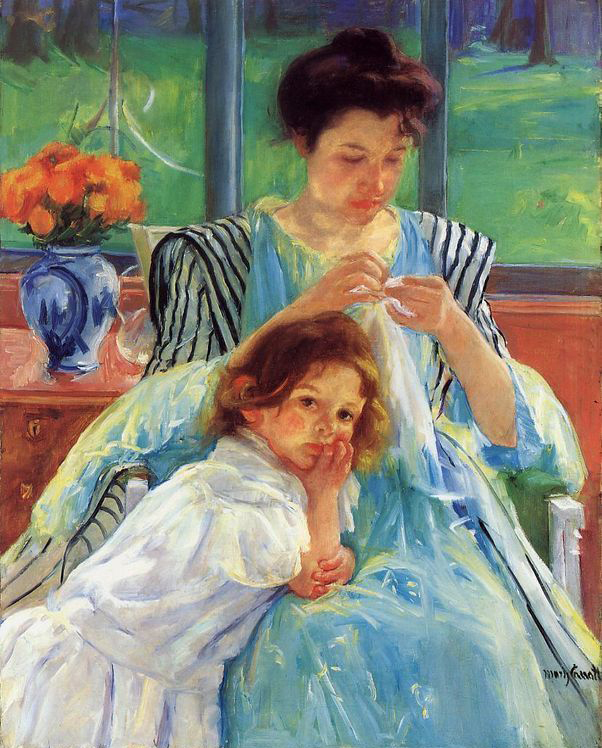 I have always loved her work, both for the work itself, but also for her courage to paint the subject that she wanted to paint, namely motherhood. I think I also love her because I remember my mother taking me to see her work at the Metropolitan in NY and making a big deal about it. But I've never seen a picture of her before -- and you have to love the hat!